Astro turf and artificial flowers on steel with benches with bleached text, aluminum engraved wall text, and real plantings in an enclosed garden. 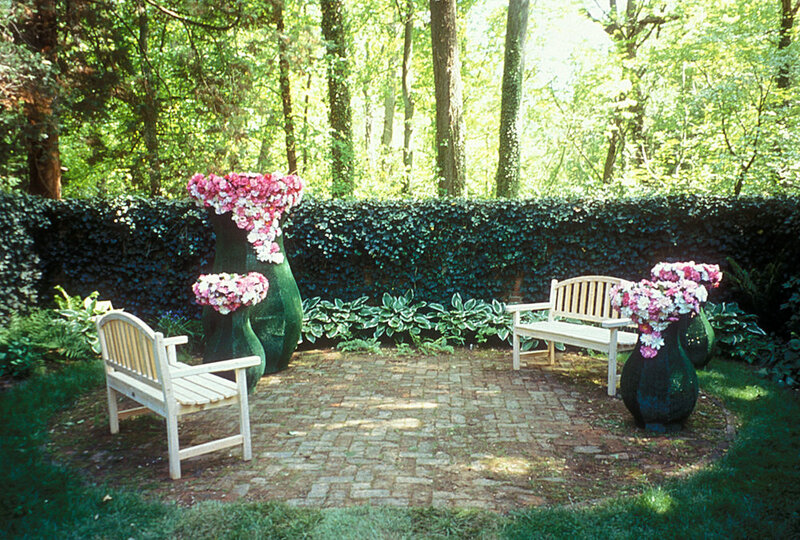 Enclosed garden area 30'x30', urns 6'x3', small urns 3'x18", benches 4' wide, wall plaques 10"x8". 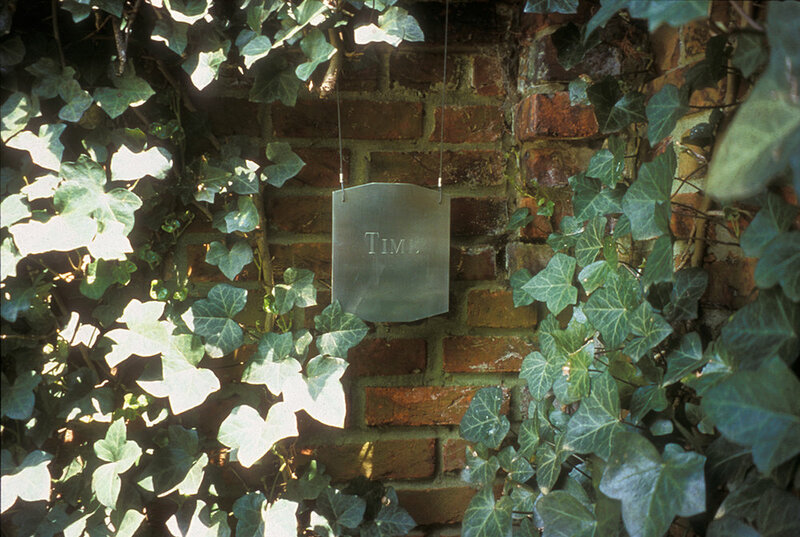 Listen explores the dichotomy of inside/outside, as an enclosed garden is at once a room without a ceiling and a landscape without a horizon. Within its walls the enclosed garden domesticates the landscape. 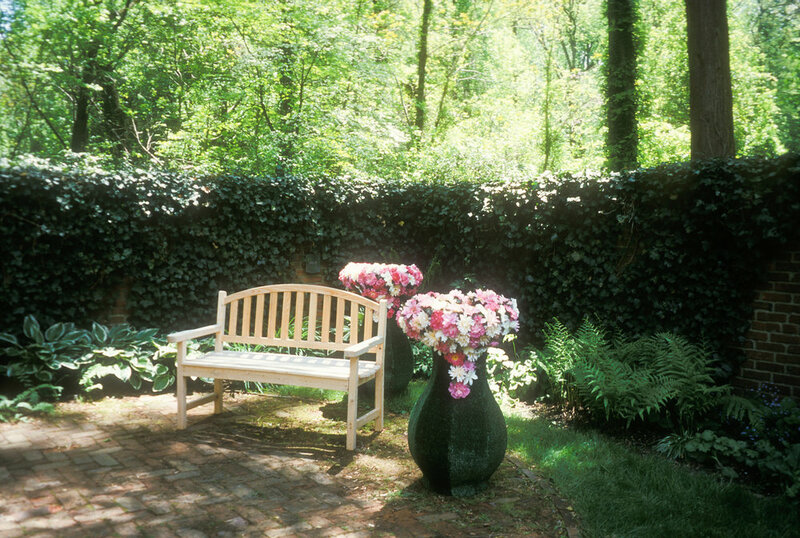 The urns reference the body as a container of which the friendship garden is only a larger container. The benches, with their fragmented text, serve as reminders to place and time. Writing leaves its trace, giving place to memory.